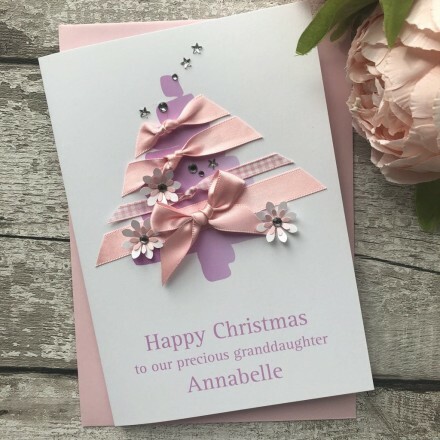 These beautiful cards are exquisite in design with shimmering ribbons and jeweled flowers to decorate the tree. Simply stunning! 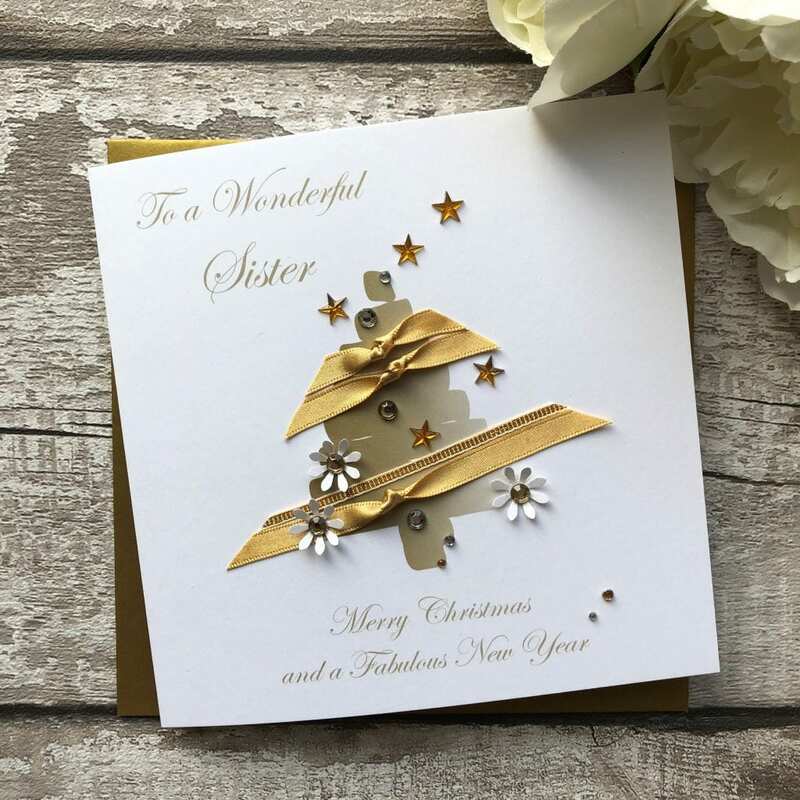 This handmade Christmas card with its luxuriously decadent feel is sure to stand out from the crowd.